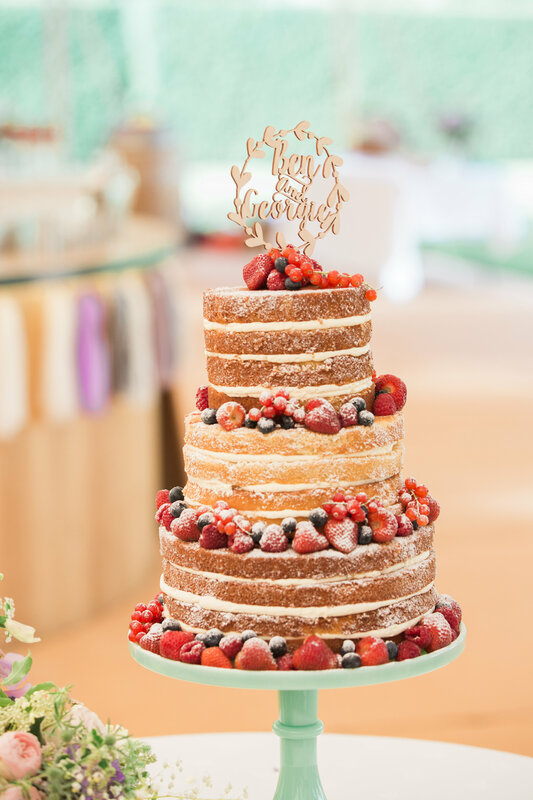 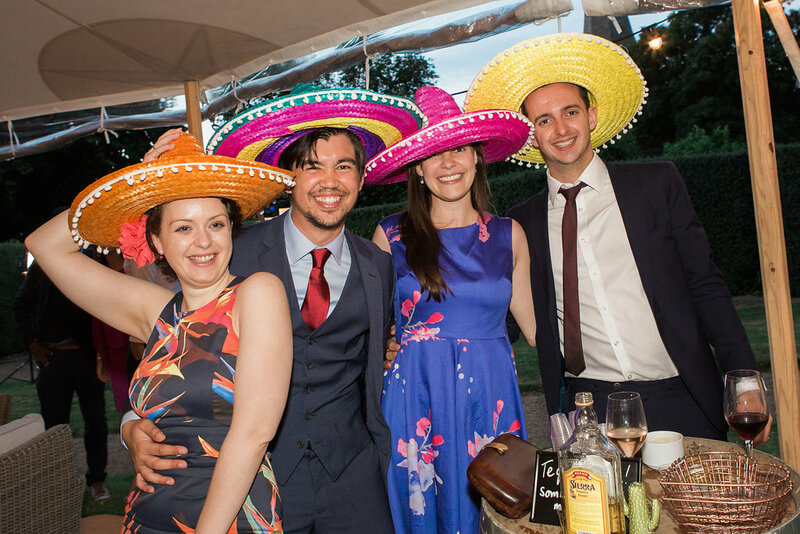 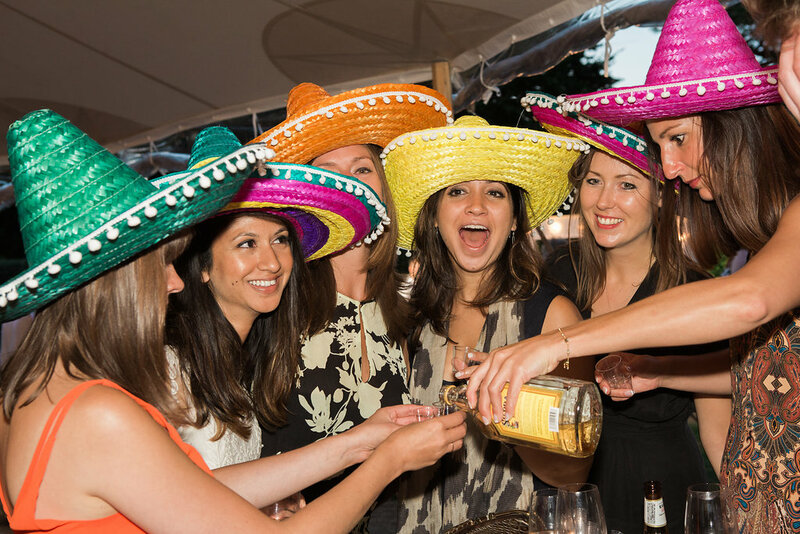 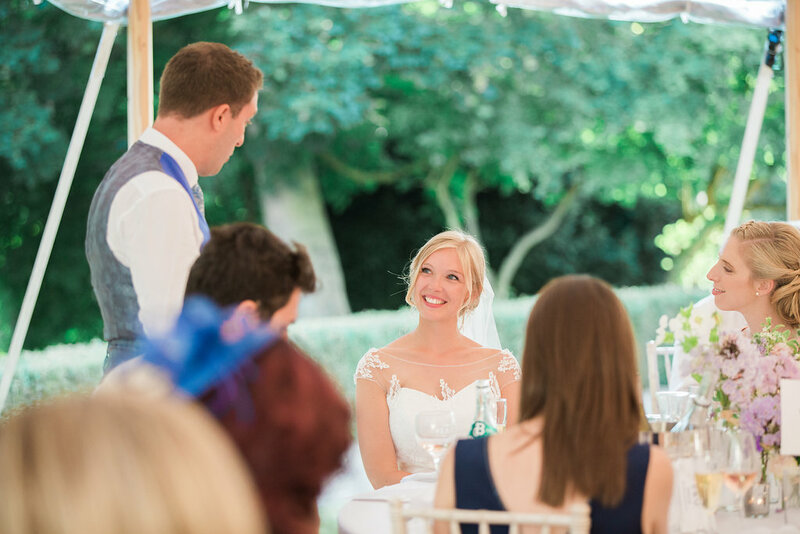 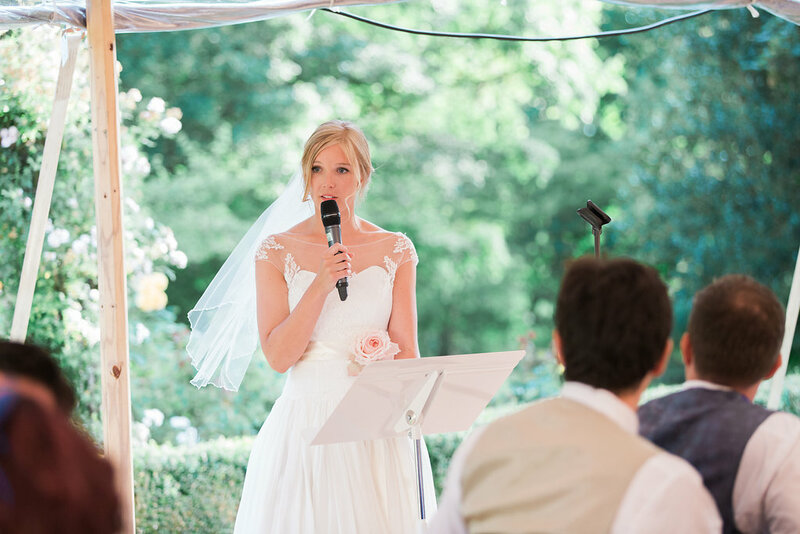 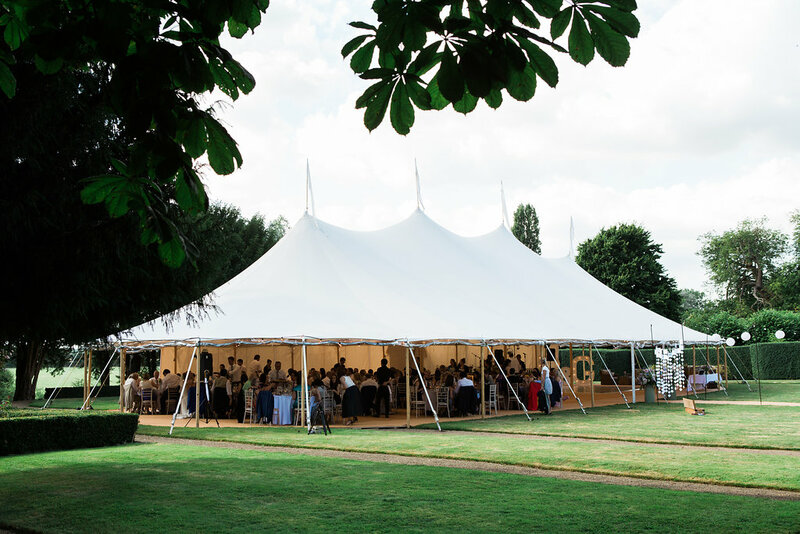 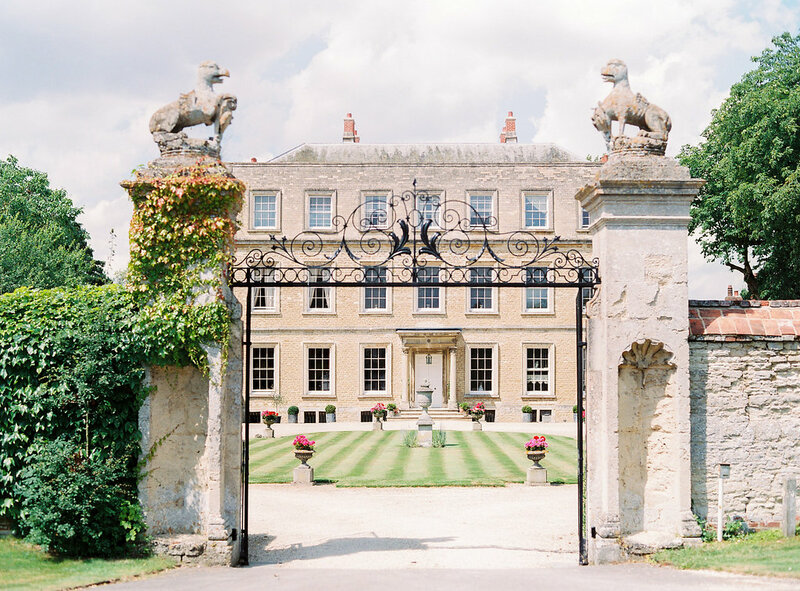 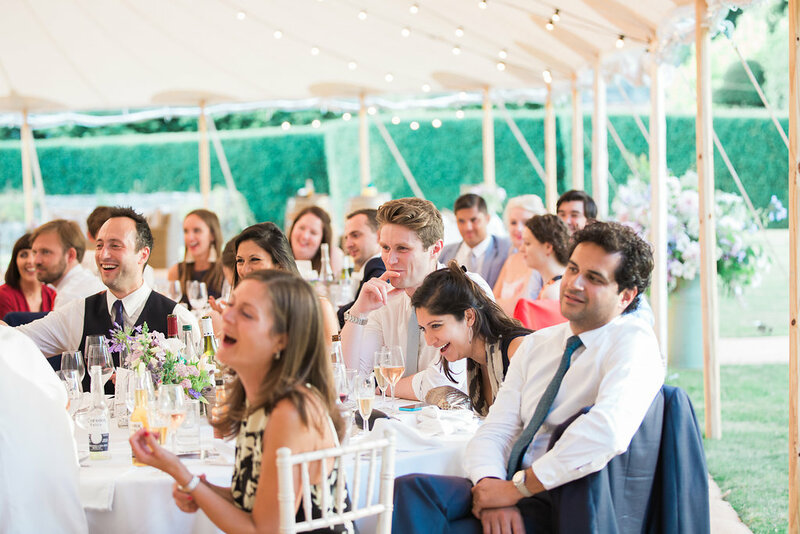 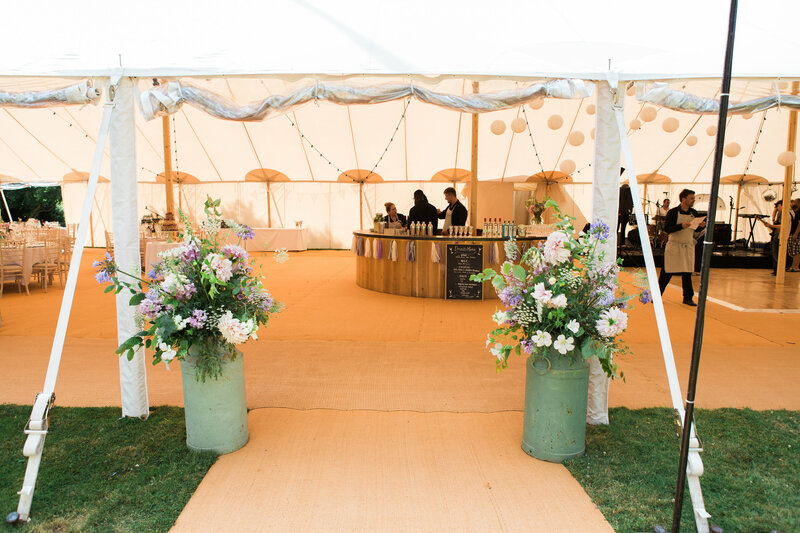 Georgie & Ben’s PapaKåta Sperry Tent wedding at Newington House captured by Lucy Davenport: Tequila, tequila! 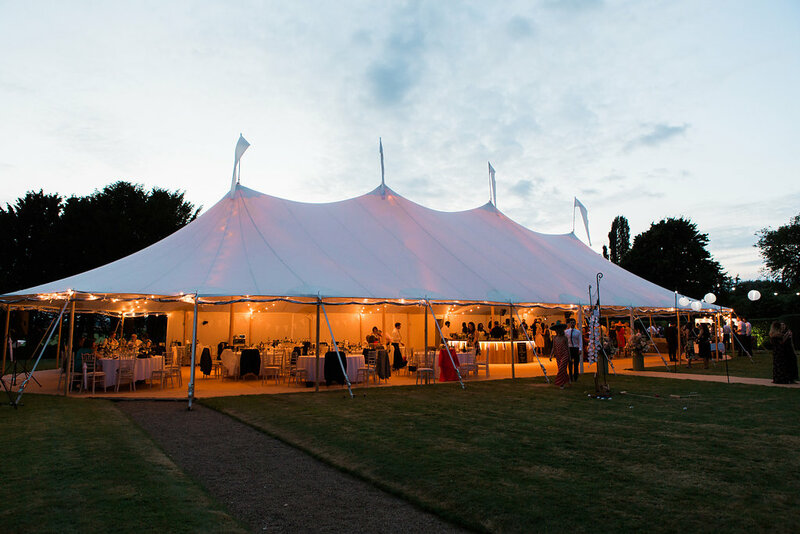 Georgie & Ben’s PapaKåta Sperry Tent wedding at Newington House captured by Lucy Davenport: Sperry Tent exterior at night! 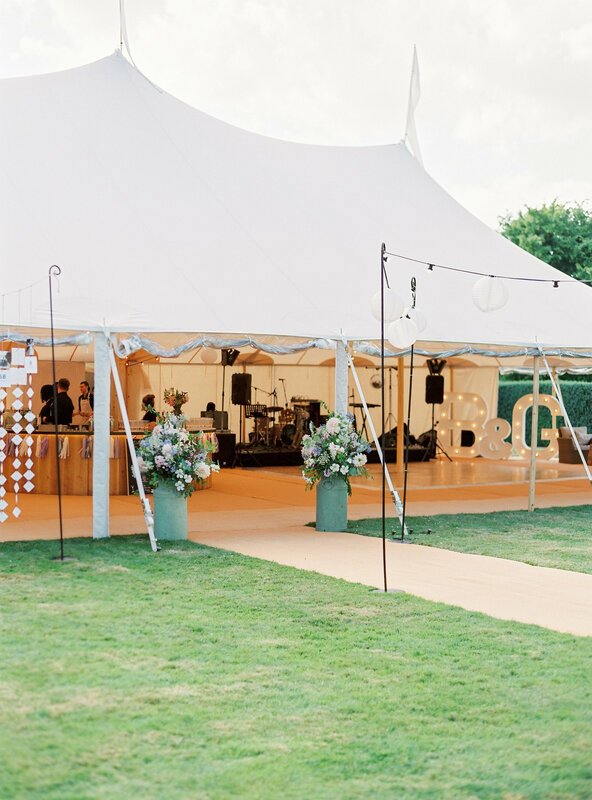 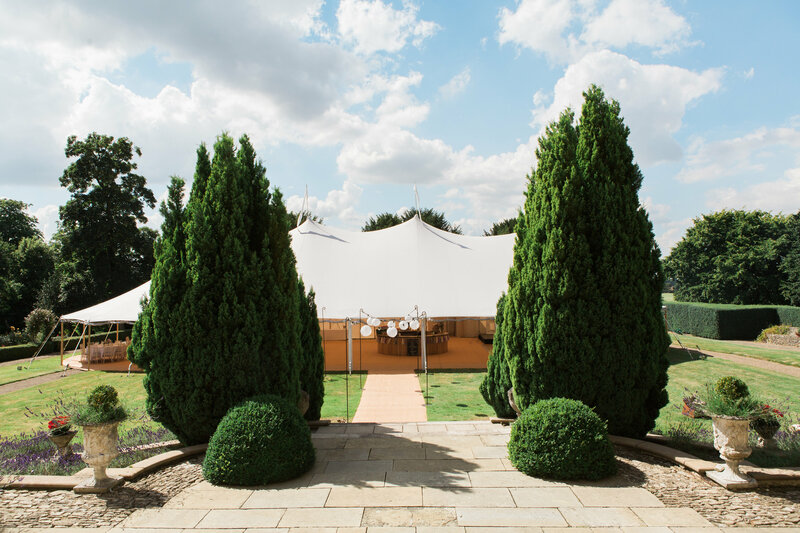 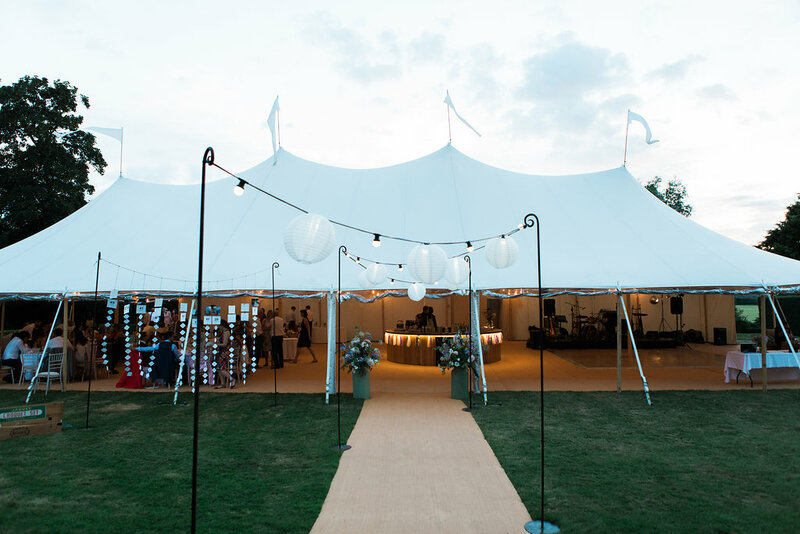 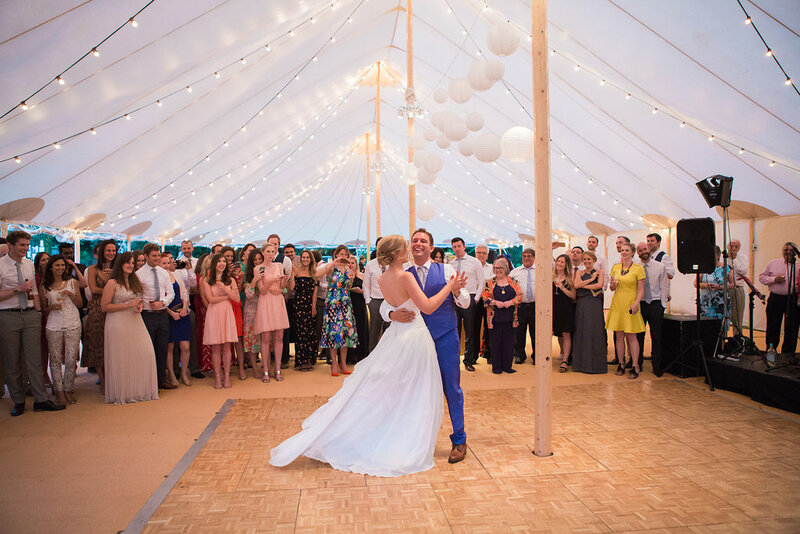 We came across Papakata and fell completely in love with their Sperry tents – The Sperry tent was spacious and modern with lovely high ceilings and we were lucky we could roll the sides up due to the lovely weather on the day. 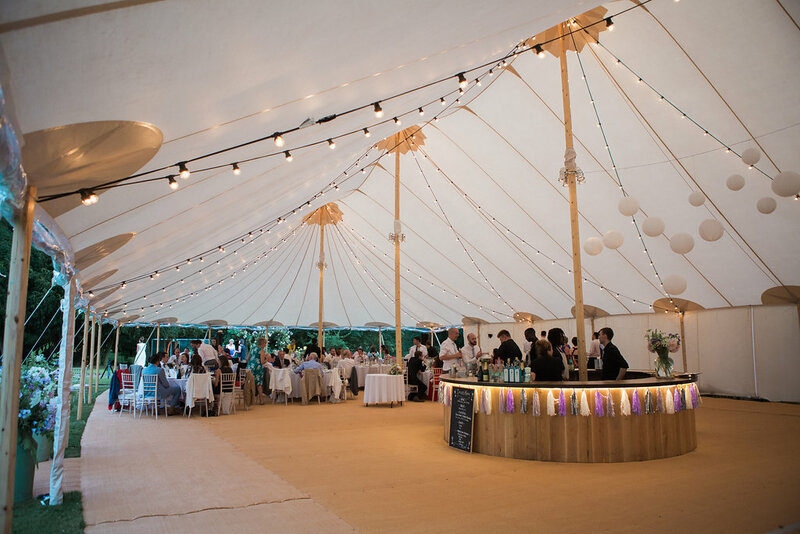 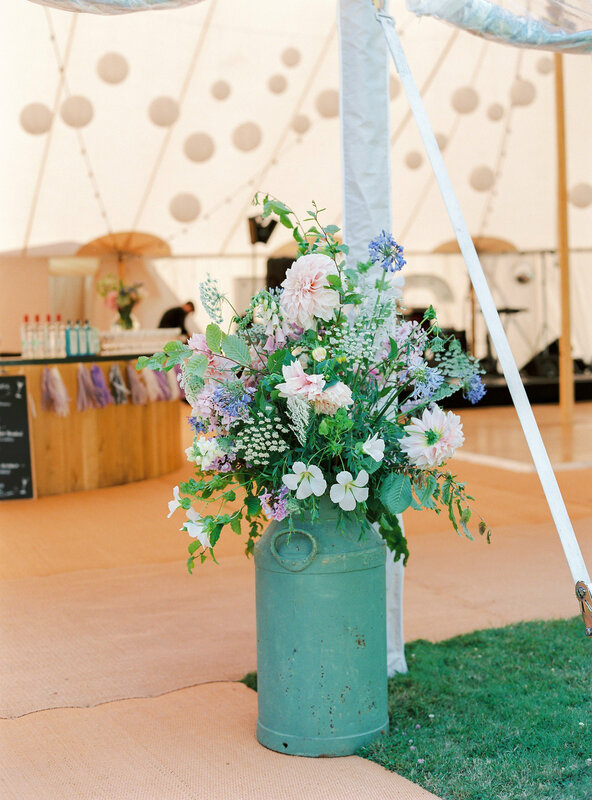 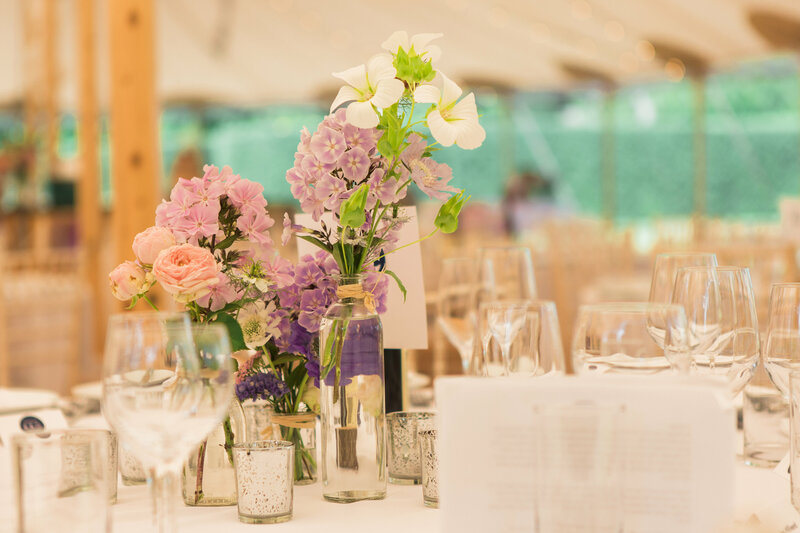 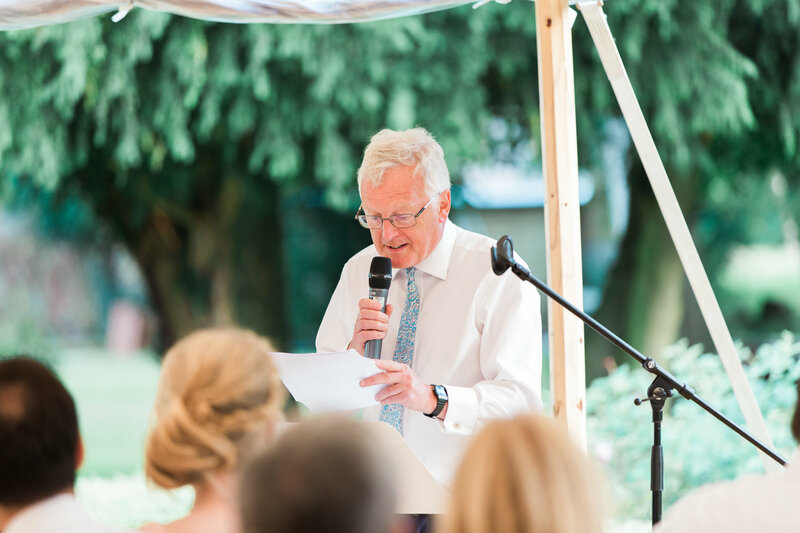 We went for round tables and ordered some lovely extras from them, which included wooden barrels and a large round wooden bar, which proved an excellent centre piece for the Sperry tent. 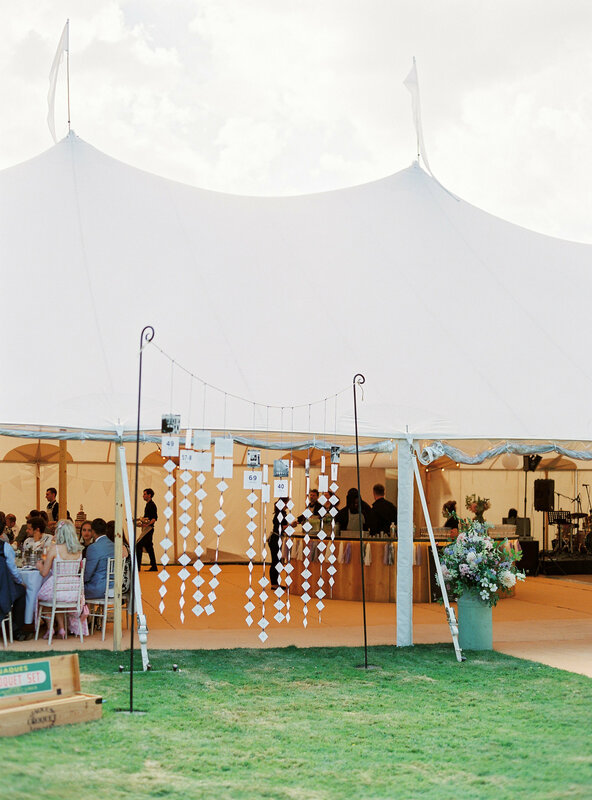 The flowers were the main decoration in the Sperry and we had some paper lanterns hung from the top and some lovely festoon lighting, which made it look beautiful at night.